Bi-fold Doors are simply doors that can fold in or out to open up a space in a desired location. 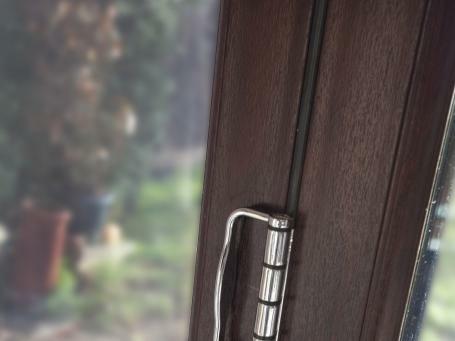 Our wonderful range of doors can create a whole new feel to your home, whether you want to use them internally or externally. They can be chosen to match the existing style of your home and can provide a smooth transition between rooms, or between indoor and outdoor space. More and more people are choosing these doors over standard doors and adding that extra touch to enhance outdoor living spaces and adding quality and value and character to their home. Both interior and exterior Bi-fold Doors offer amazing flexibility in design and are remarkably easy to operate, with a simple tracking system running along the panels. Our Bi-Fold doors are designed to endure harsh weather conditions and are locally manufactured to exacting standards to exceed British Regulation Kite Mark (e.g. weather rating, insulation, safety and security). hinge knuckles are visible when the door is closed.